There are over 60,000 international students in South Africa and it’s no secret why there are so many drawn to this county. South Africa is home to both excitement and beauty. There are plenty of mountains for the more adventurous souls to explore and miles of beaches for those who are looking to just relax. 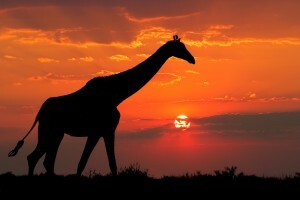 Additionally, South Africa is a great place to discover wildlife! Those looking to see the big five: lions, buffalos, rhinos, leopards and elephants will have plenty of chances to do so at one of the many natural wildlife reserves throughout the country. Of course there is plenty of nature to be found throughout South Africa, but it also has a more developed side for international students to experience. There are a number of modern cities that provide students with the perfect combination of culture and entertainment to enjoy while pursuing their studies. A few popular cities for students to consider studying abroad in include Cape Town, Johannesburg, Pretoria and Durban. Those who will be studying as an international student in South Africa must apply and be approved for a study permit and it is better to do this sooner than later. Getting approved for a permit means the student will need to show they have sufficient funds for their studies and that they have adequate international student insurance in South Africa. One great option when it comes to international student insurance in South Africa is the Atlas Travel plan. This plan provides coverage for doctor visits, hospitalization, emergency medical evacuation, repatriation of remains and organized sports. Students who purchase this plan are also able to choose their own deductible and coverage amount. If you are in need of international student insurance in South Africa contact one of our licensed agents today for more information. i am looking for student insurance policy to buy to study in italy. It was nice speaking to you on the phone today. I’m glad that you were able to find a plan that meets your needs. If you have any questions on your plan in the future, please feel free to let us know. I am a Kenyan planning to Join UCT South Africa. from May 2015. Kindly get me a quotation for 2 adults and two children, 7 and 1.5 years old. is the payment done upon arrival or before travelling? I live in Cameroon and I am planning to take a course in Stellenbosch University. Do you have a product that would benefit me? Yes, if you’re a citizen of Cameroon and will need coverage in South Africa we have a few plans that work for you. One great option will be our International Travel Medical plan– it’s great to cover new, eligible injuries and illnesses. Please contact us with any other questions you might have. We have a number of great options for international students and are happy to help. One great plan suggestion is the Student Secure plan, however, to ensure we suggest the very best option for her we will follow up through email. We have a number of great options for her, however, to help ensure that we find the best plan to meet her needs we will need a bit more information. I’ve sent you an email so we can gather further details and help you find the best plan for her during her trip in South Africa. I am currently in Nigeria. About to commence postgrad studies next April at Stellenbosch University South Africa. Will appreciate information on available medical insurance options for international students. The studies are arranged in blocks 2 – 3 weeks per period twice a year, more like a senior executives course blended into regular postgrad flow. I still plan to maintain my residence and business in Nigeria through the time. I am looking at the most cost-effective 6 months cover asap to facilitate my study permit application. Please advise. Regards, Ceejay. My son is appling for study permit at Crawford College in South Africa. Yes, we certainly can- we have a number of great insurance plans that will work for him during his studies. I’ve sent you an email so we can gather further details and assist you further. Hello Temba, thank you for visiting our blog. We have a few plans that would be an excellent option to provide your daughter with coverage, however, to help ensure that we find the best plan to meet her needs we will need a bit more information. I’ve sent you a follow up email to ensure that we can provide her with the best plan for her trip in South Africa! I will be moving to pretoria in january until december to study sports management, however i need to apply for a health insurance plan ASAP. please advise. The Student Secure is an excellent plan option for international students studying inside the USA. The plan comes in four levels Smart, Budget, Select and Elite and offers inpatient and outpatient medical coverage up to $200,000 (smart), $250,000 (budget), $300,000 (select) or $500,000 (elite). It is available with a daily or monthly rate, and monthly payment options – allowing you the flexibility to purchase the coverage you need. Please also note, there is an additional $5 fee if you choose to pay your plan monthly. I am an international student looking for health insurance for a period of 3-4 years in south africa. Could you kindly recommend me a medical scheme, please? Thanks for your blog comment! The Student Secure is an excellent plan option for international students studying outside of their home country. The plan comes in four levels Smart, Budget, Select and Elite and offers inpatient and outpatient medical coverage up to $200,000 (smart), $250,000 (budget), $300,000 (select) or $500,000 (elite). It is available with a daily or monthly rate, and monthly payment options – allowing you the flexibility to purchase the coverage you need. This plan will allow you to purchase it from as little as 15 days all the way to one year and it is also renewable up to 4 years total. Thanks for your blog comment. A great plan for international students studying outside of their home country is the Student Secure plan. I have emailed you more details about this plan. Please contact us with any other questions you might have. We are Zimbabweans and have 2 daughters in Cape Town both of whom are studying there. My question is can you offer us a package that can cover their personal effects such as clothing computers, cell phones etc. They do have medical insurance and vehicle insurance. Thanks for your comment. Unfortunately, we do not offer a plan that will just cover your daughters’ personal property. I apologize for the inconvenience. Hi,my son is studying in South Africa with student permit visa and I am looking for student medical insurance with dental coverage. please send me your best offer and both option monthly payment and yearly payment. I have sent you more information about this plan to your email. My wife’s children are going to study in Cape Town, South Africa. They’re aged 7,10 and 12. My wife already has medical coverage and the boys need a medical plan to obtain study visas. What plan is best suited for minors? Forgot to mention, it would be for a minimum period of 12 months. Thanks for your blog comment. I would recommend our Student Health Advantage plan for your kids. I have sent you an email with more information about the plan. Thank you for your post. Kindly assist with the most affordable Student Medical Aid for International Students, preferably such that doesn’t require the full upfront payment. Your earliest assistance would be greatly appreciated. Thanks for your blog comment. If you will be a full time international student at a college or university in South Africa, we can recommend the Student Secure plan. This plan offers monthly payment options as well as full payment. I need health insurance information for a 13-year-old who is going to study in South Africa. Is it possible to have coverage only for him, without the parents? Thanks for your comment. I would suggest our Student Health Advantage plan for this student. He can apply without his parents and will offer him coverage anywhere outside of his home country. I have email you more information about the plan. Thanks for your comment. I would recommend our Atlas Travel plan for your husband and you. I have sent you an email with more information. I I will be studying in Cape Town for five years. I am looking for health insurance for the duration of my study. Could you please counsel me which insurance is adapted for me. Thank you very much for your help and your counsel. Thanks for your comment. I would recommend our Student Health Advantage plan for your time in Cape Town. I have sent you more information about this plan to your email. Hello , I need to buy a Travel Isurance for my daughter who will be going to Poland for studies. The visa application requires a 365 days cover, please advised me on the money i have to pay. Kind regards. We have replied directly to your email in order to assist you further, kindly check your inbox. I just secured admission into REGENT Business school or a period of one year. I need medical insurance as it is among the documents that needs to be submitted to the embassy here in Nigeria before i can be granted a visa. Thanks for your blog comment. We have sent you an email about our Patriot Travel plan. This plan is ideal for international students traveling outside of their home country. I have been accepted to the animation school in Cape Town South Africa. I need proof of ongoing medical scheme for the 3 years that I will be studying to get approved for my study visa. Can you please help me with the information I would need?